In the previous post of this series, we discussed three ways Millennials will help transform your Company to a Learning Organization. We defined a Learning Organization as one in which learning is stimulated and the organization is prepared to continuously transform itself to adapt to a rapidly changing business environment. We talked about Millennials’ contribution to the Learning Organization in increasing cross-pollination by promoting teamwork, growing together by creating a feedback-driven culture, and learning to value trial-and-error learning to drive company innovation. In this post we will discuss another three ways in which Millennials will help your company transform to a Learning Organization. Not only can Millennials help create a feedback-driven company culture by continuously asking for and giving feedback, but they can also help in the transformation towards a Learning Organization through engaging in self-reflection. Opportunities for personal development are an ever-present criterion for any environment the Millennial lives in, be it in a personal environment or a workplace setting, so keep in mind that they will be scrutinizing and testing their own actions and performance against their goals. Millennials end up doing their fair share of self-reflection and look for ways to improve where they find themselves lacking. In case of a lack of knowledge, skills or actions in a certain direction, they are good at identifying and acknowledging what is needed and what needs to change in order to improve the situation. This characteristic of critical self-reflection can be beneficial to the organization as a whole. In the current business environment, where change is the only constant, being able to analyze and adjust to the situation is a critical success factor. Developing a culture of continual feedback will surely help develop your people, personally and professionally, as well as enable your organization to better execute their corporate decisions. It might also be good to invite your employees to take a serious look at the organization, analyze what is lacking, and generate ideas about what needs to be done. The impact of increased feedback can be boosted greatly if there is also an increase in open vertical communication. Millennials are quite anti-hierarchical and focus on equality and collaboration over organizational levels and protocols. An open mode of communication comes naturally to Millennials – they are used to being asked for their opinions by peers, subordinates, and superiors, and are used to offering their opinions even without invitation. One of the biggest reasons why Millennials quit is that they are asked for their opinions but do not feel that their opinions are heard or acted upon. While the Millennial approach of offering opinions can be seen as overly confident, it does represent a bias towards action and can set in motion more thought and input from lower levels of your organization. This is a democratizing force that opens up more learning opportunities, and gives high-potential individuals a chance to distinguish themselves and come to the attention of company leaders. A notorious characteristic of Millennials is that they are job-hoppers. Even if they feel at home at your company, they may choose to leave for another opportunity based on changes in their professional goals, outside opportunities, or their personal circumstances. In fact, a majority of Millennials do not expect to be with the same employer for more than three to four years. This trend might seem like a threat to the stability of the company, but you could also view it as a normal adjustment to a dynamic, fast-changing business environment. As circumstances change, the people, skills, and experiences your workforce needs will also change. Thus, having higher turnover gives your organization the opportunity to bring in new talent into your organization. Naturally, it will require putting in place better processes, documentation, and onboarding practices for this turnover. But if you design your organization to handle turnover, this will result in a more robust organization, where knowledge is better shared. Also, since you know that Millennials are actively developing their skills for future jobs, you should offer wide and deep learning opportunities to keep them fully engaged and motivated during their tenure with your organization. So there you have it! 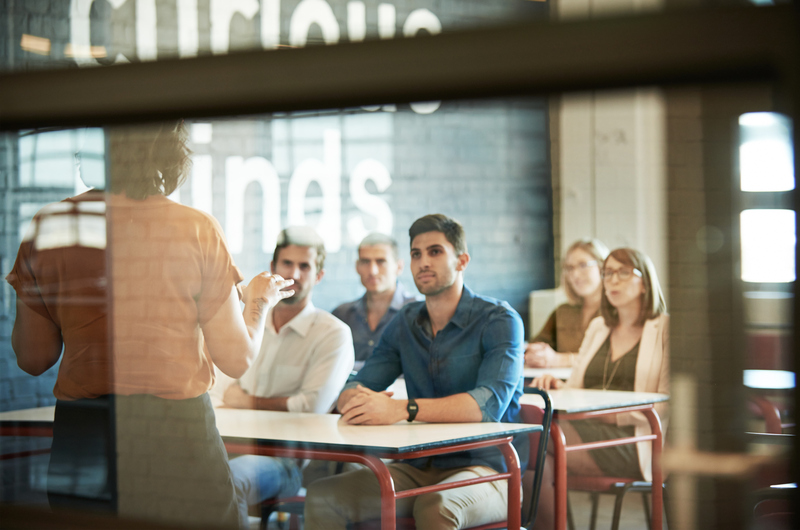 These are the Six ways Millennials will help transform your company into a Learning Organization, in which learning is stimulated and the organization is prepared to continuously transform itself and adapt to a rapidly changing business environment. What’s next? Apart from the learning attitude, you will also want to provide your Millennial workforce with training so as to spur their personal and professional development. Bersin by Deloitte’s latest research on Glassdoor ratings shows learning and career opportunities to be key driving factors in Millennial-employee ratings of their company. By helping Millennials develop themselves, you create a satisfied workforce that helps move your company forward. In designing these trainings, you’ll need to tailor the material and learning methods to the audience at hand. NovoEd is here to help! Start your journey in Millennial Training by checking out our 6 Effective eLearning Corporate Strategies for a Millennial Workforce.